Considering the little rosemary rampage we’ve been on lately, you’d think we just discovered the stuff. And in some ways, I guess we did. Poor rosemary usually gets a bad wrap in my house. Not because it’s not incredible (it so is) but because it’s an herb that no matter how hard I try, I can’t help but associate with Thanksgiving turkey. 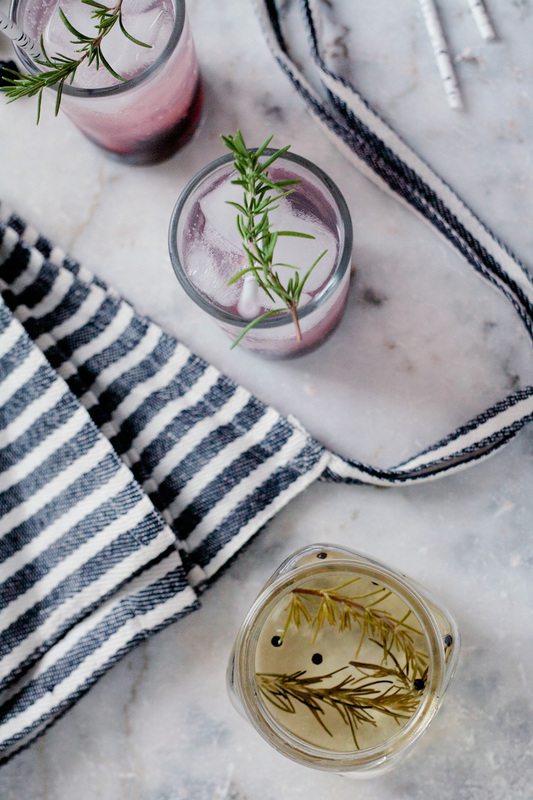 Rosemary and sage (thyme usually escapes by the skin of its teeth) conjure up images of cozy nights by the fire with full bellies and warm hearts, with Santa just around the bend… all of which, of course, I look forward to all year. But not nearly as much as I look forward to summer. Needless to say, in the middle of August, when the thought of the oncoming winter makes me want to pull a Thelma & Louise and hurl myself off a cliff, I just can’t bring myself to look that pretty little sprig in the face. Until now. A few weeks ago, with a big pile of blueberries and an even bigger pile of blackberries in hand, somehow Mark and I found ourselves throwing those gorgeous green leaves into a sweet summer pie, and the result was one of our favorites we’ve come up with so far. It was all downhill from there, of course: rosemary bread, black & blue rosemary pie, and now this delicious rosemary peppercorn simple syrup. But I promise if you try this stuff the next time you go to mix up a drink, you won’t mind at all. Even more importantly, it won’t make you think of anything but the gorgeous summer sun. Bring sugar and water to a boil. 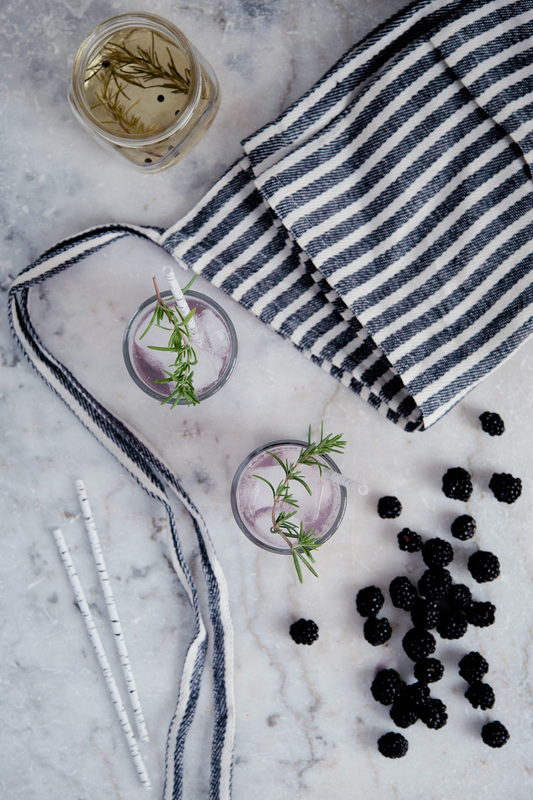 Allow sugar to dissolve, then add rosemary and peppercorns. Let boil for one minute, then remove from heat. Let syrup cool. Transfer cooled syrup to a glass container for storage. Strain before using. 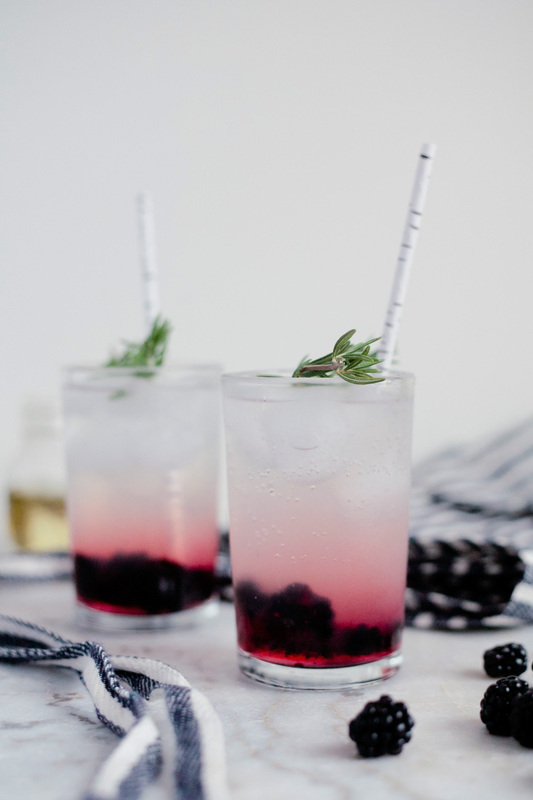 Muddle blackberries in the bottom of a glass. Add ice, then gin, lime juice, and simple syrup. 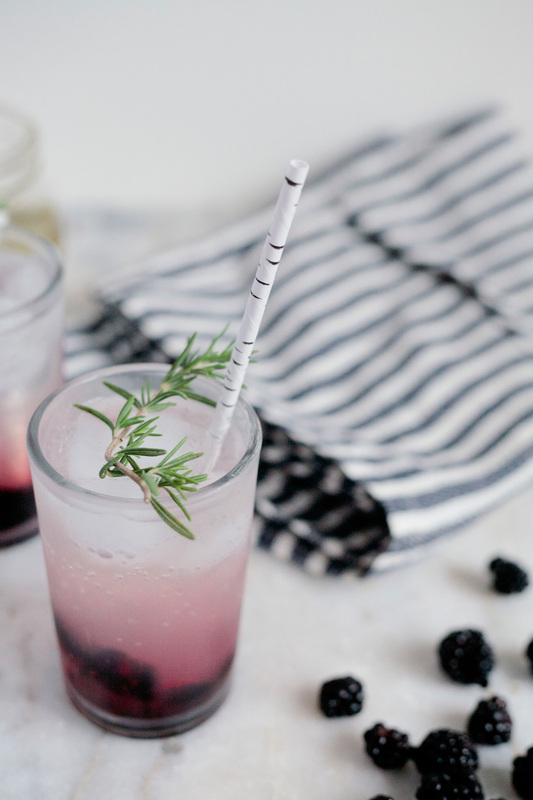 Top with club soda and garnish with a sprig of rosemary. Stir before drinking. 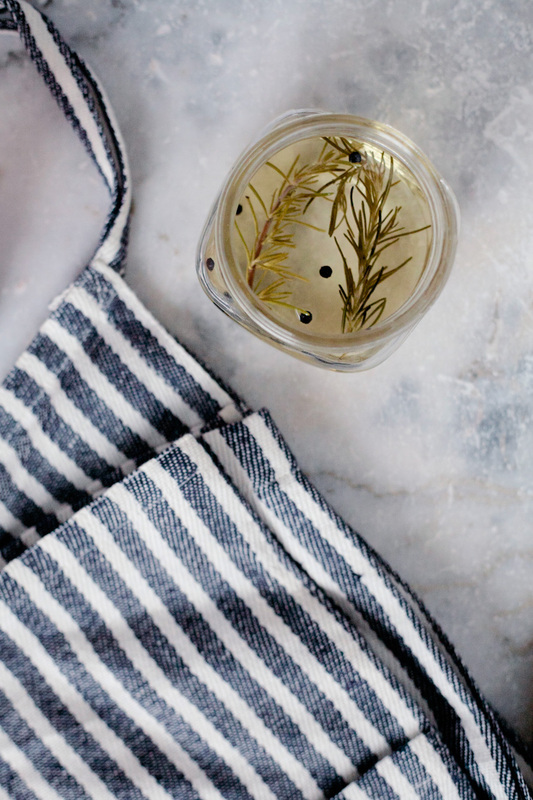 Be still my rosemary-loving heart! yum! sounds perfect! i recently discovered a giant rosemary bush in my front yard (no idea how i missed it. ha!) and now on the look out for awesome recipes!